The Crux’s new St. Catherine’s location is home to a spacious and beautiful lobby. The brightly lit space is dotted with comfortable chairs along the walls, and a friendly staff to match. There are games and puzzles for you or your group to play while you wait for your room. Since it is a new location, some of the behind-the-scenes are still under renovation. The bathrooms, for example, are a trek and a half away from the main entrance. The exterior could use some more polish, since a few things like the current sign are only temporary. No doubt changes will be made in the oncoming months, but for now their rooms are open and rearing to go. The Crux in St Catherines is still easy to spot regardless of which side of the road you’re on. There’s quite a bit of parking available down the street, and most of it is empty (although we don’t know if there are peak hours) so parking close to the establishment is a breeze. Our game master ran over the rules with us, and provided an enthusiastic explanation of what happened: your ship and crew has been overrun by pirates. While most of your yellow-bellied mates abandoned ship or joined the pirates, your team of loyal crew members are determined to mutiny against the pirates and take the ship back into your hands. Your adventure awaits just beyond a lavishly constructed ship door. The construction of Mutiny was really well done. Almost all of the puzzles, props, and decor were solidly constructed with some really nice attention to detail. There were a few props here and there that could pull you out of the immersion, but for the most part everything felt sturdy and appropriately themed. Effort was obviously poured into the creation of this room, with hidden details in every chamber of the room. Mutiny has some elegant touches like real parchment for written clues and painted walls and windows for a sense of realism. Even the hint system was immersive and served to heighten the feeling of being on a pirate ship. The story that we and uncovered throughout the game wasn’t the strongest, and didn’t develop much throughout the room. The puzzles however, were incredibly well themed to the pirate ship surroundings. There was one that seemed a bit modern and out of place, but it was still incredibly cool. There was a great variety of different puzzles. 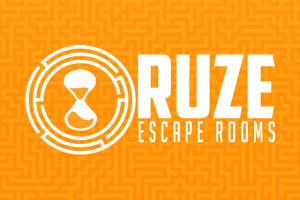 There were physical puzzles, logic puzzles, and searching puzzles and much of the room heavily focuses on teamwork. A variety of skills is made use of in Mutiny as well; for example, at least one person on your team should have a good sense of balance. Besides being fantastically themed, the design of the puzzles all made sense, and there were no grand leaps of logic or random associations made. The layout of the puzzles also served to minimize bottlenecking; Mutiny is a room that feels inclusive with little dead time. 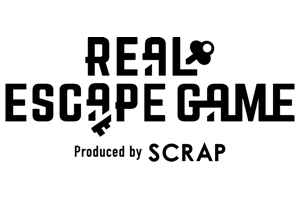 Due to this and the variety of puzzles and skills used in Mutiny, it is a fair and fun room for both veterans and new escapees.